Every September, leaders from around the world gather in New York City for the United Nations General Assembly “General Debate.” In addition, many high-level, special and side events take place at UN Headquarters and around the city. The UN’s Department of Public of Information is committed to welcoming individuals around the world to these meetings via its extensive online coverage. Here are the 7 ways you can join the global conversation. Millions of people around the world have signed up for regular updates from the UN’s social media accounts and millions more are talking about UN issues. 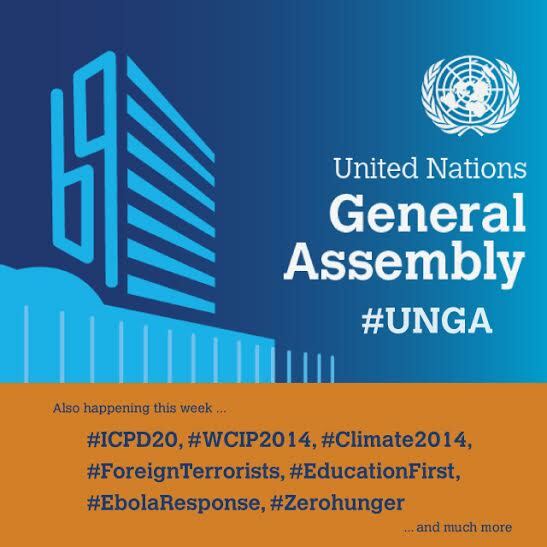 You can join these discussions by using the official meeting hashtag, #UNGA, across your social media channels. Additional hashtags may also be announced for other events as outlined in the image above. All of the #UNGA Plenary Sessions, and most high-level, special and side events will be webcast live at http://webtv.un.org. Be sure to tune in all week.